Wynn Resorts (NYSE: WYNN) had a mixed first half of 2018, with revenues and earnings increasing at a decent pace, but missing consensus estimates. Further, the casino giant has seen its shares fall by nearly 29% of late from the high of $180 earlier this year to $128 on September 7. The possible slowdown of the Chinese economy and the apprehension surrounding its Boston casino continue to put pressure on the stock. Wynn’s revenue for the first half of 2018 came in at $3.32 billion (+ 15% year-on-year), while adjusted earnings came in at $3.83 (compared to $2.17 in the first half of 2017). 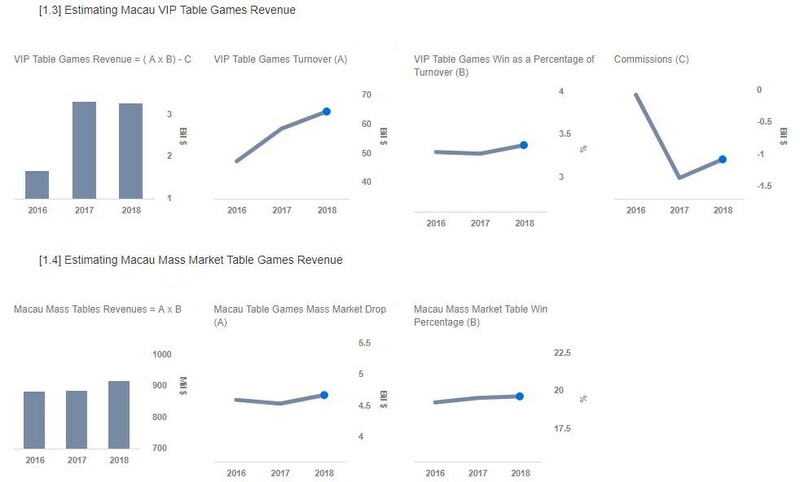 While Macau has continued its strong performance, driven by robust growth in both mass market and VIP games, the Vegas division continues to lag behind, with revenues remaining fairly flat through the first half, largely due to the slowdown in visitation. Near-term pressure is expected to continue for Las Vegas given the development of Paradise Park – a lagoon-themed park, and its ongoing work at Boston Harbor. On the other hand, we expect to see some benefit from the development of new hotel rooms at Wynn Las Vegas, renovation of its regional casinos, and remodeling of its Encore suites. For Macau, renovation work at Wynn Macau may cause some headache, but we expect the positive trends in the region, together with the development of two new restaurants at Wynn Macau, to offset this. Looking further ahead, trouble could be brewing for the company, with Wynn reportedly looking for potential buyers for its Encore Boston Harbor resort (expected to open in the second half of FY 2019) as its Massachusetts gaming license could be at risk. Below, we take a look at what to expect from Wynn in the second half of 2018. We have created an interactive dashboard analysis which outlines our expectations for Wynn Resorts in the second half of 2018. You can modify the key drivers to arrive at your own price estimate for the company. Robust growth in Hotel revenue and Slot revenue in the Vegas business was largely offset by the slowdown in visitations, resulting in revenue growing by under 1% to $873 million in the first half of 2018. In the third quarter, fewer citywide conventions on a comparable basis may put pressure on revenues. However, this may be overcome by growth in the fourth quarter. We expect the domestic market to remain fairly stable and provide reasonable growth opportunities, led by the improved outlook of the U.S. economy, coupled with several citywide conventions, recovery in the Vegas market – owing to recent tax cuts and higher customer spending – and its expansion into Massachusetts. This should aid in in mid single digit growth in revenues in the second half of 2018. However, as mentioned earlier, the development of Paradise Park and its ongoing work at Boston Harbor may negatively impact the company’s margins. While Macau performed strongly in the first half, its performance was slightly dampened as a result of the lackluster performance of VIP market in Wynn Macau. Further, the gross gaming revenues (GGR) in Macau were slightly impacted by the FIFA World Cup, resulting in fewer visitations. WYNN expects to see some near-term pressure in Macau given the remodeling of its Encore suites and full-scale development of two new restaurants at Wynn Macau, which will likely impact the company’s margins. However, this should help improve gaming and non-gaming services in Macau in the near future. We expect Macau to be the driving force and contribute significantly to Wynn’s growth in second half of 2018, as a result of the recovery in gross gaming revenues (GGR) post-World Cup. A noteworthy trend in the first half of 2018 was robust growth in the mass market segment. This growth can be attributed to increased visitation by casual gamblers due to the improved infrastructure development – the high-speed rail link and the Hong Kong-Zhuhai-Macau Bridge, both connecting Macau to Hong Kong. These tailwinds in the Macau casino market, coupled with its positioning in the VIP market, strong growth in the mass market, the strategic alliance with Galaxy Entertainment Group, and an improving Chinese economy, should provide for another year of robust growth for Wynn. Further, the addition of two new properties in Macau should provide long-term growth opportunities.